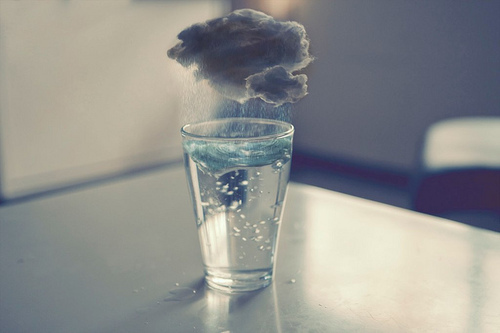 Water that comes from rainfall is naturally soft, meaning that the water contains sodium ions. When the water comes in contact with the ground it begins to gather other minerals and substances from the earth such as calcium, magnesium, and lime. The presence of these extra dissolved minerals makes the water hard. Because of the increase in sodium ions, soft water often has a salty taste and can sometimes be unsuitable for drinking. If you have heart or cardiovascular problems, or are on a low-sodium diet, it is strongly recommended that you stay away from drinking high-sodium substances such as soft water as well. Many people prefer to drink hard water instead due to the extra minerals and health benefits that offers. These minerals also give the water a better taste and are generally what you will find in most bottled water. Unfortunately, because of the extra calcium and magnesium, hard water is actually bad for you home. These minerals are responsible for the scum-like residue and calcium deposits that like to form around your water faucets and in your shower. Magnesium does not typically react well with soap either, making it harder to create a good lather and more difficult to thoroughly rinse off. If your house uses hard water, that’s what’s to blame for your clothes feeling dingy and the soap spots still on your dishes after being washed. Soft water will save on time and money as less soap and detergent will be needed to reach a clean end. So hard water is better for drinking, but soft water is better for cleaning…now what? Fortunately, there are ways to have the best of both worlds – water that tastes better and contains less sodium than soft water, but also contains less calcium and magnesium than hard water for easier cleaning. The secret is a solution of the two. Deionization, distillation, and reverse osmosis are all water purification practices that help balance out the negative ions in water. If you want to take this power into your own hands, you can actually purchase water softeners at most of you favorite home improvement stores such as Lowes and Home Depot.